This time it’s a family trip. More precisely a surprise trip for my mother’s 60th birthday. 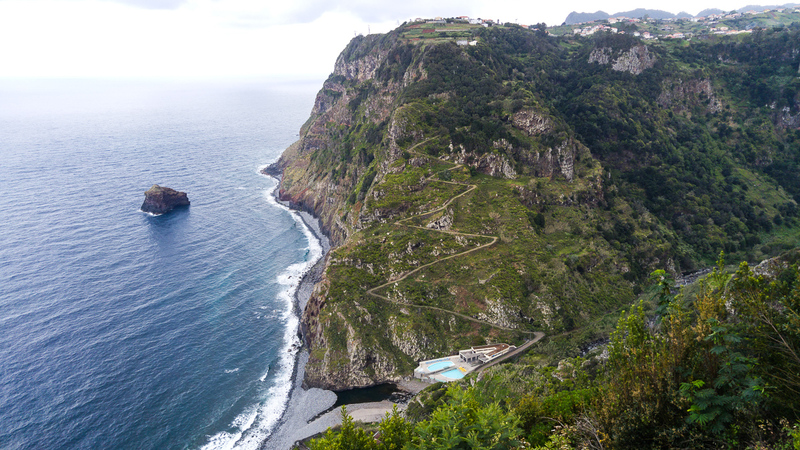 She’s always been a fan of Portuguese culture and heritage, hence the idea to go to Madeira. 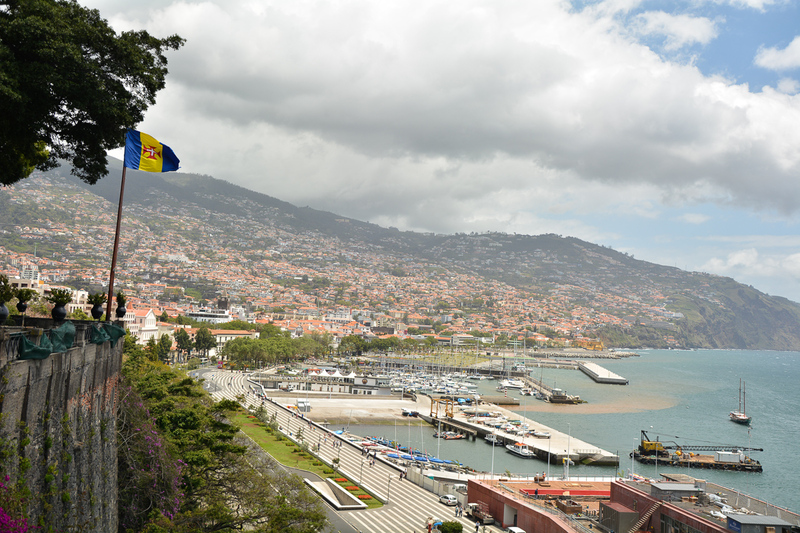 What do you associate Madeira with? For my mother and sister Luisa, this is the “island of everlasting spring” and the cradle of Portuguese colonial culture. 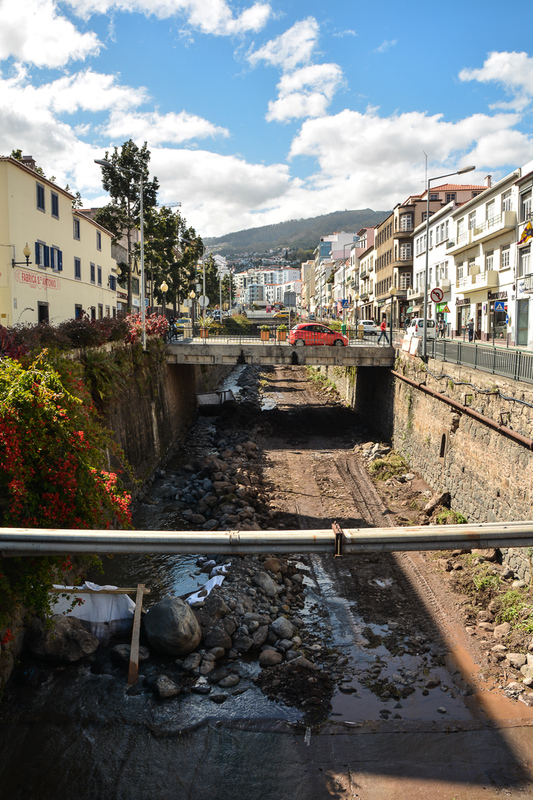 For my dad, it’s not just Funchal airport, one of the most dangerous in the world, but also irrigation channels called levadas, which we will focus on a bit later. 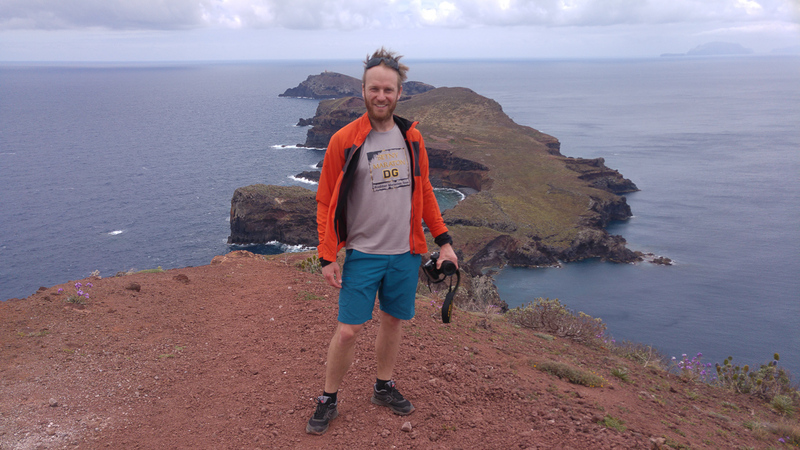 My first thought linked with Madeira is that it is home of the legendary trail running event called MIUT (Madeira Island Ultra Trail). The longest distance is very tempting: You have to run 116km and climb a massive 6600 meters of accumulated positive vertical gain within the time limit of 26 hours. Unfortunately, it is not the right time of the year to participate, so this pleasure will need to wait until future, hopefully not too distant. Going back to the airport topic. 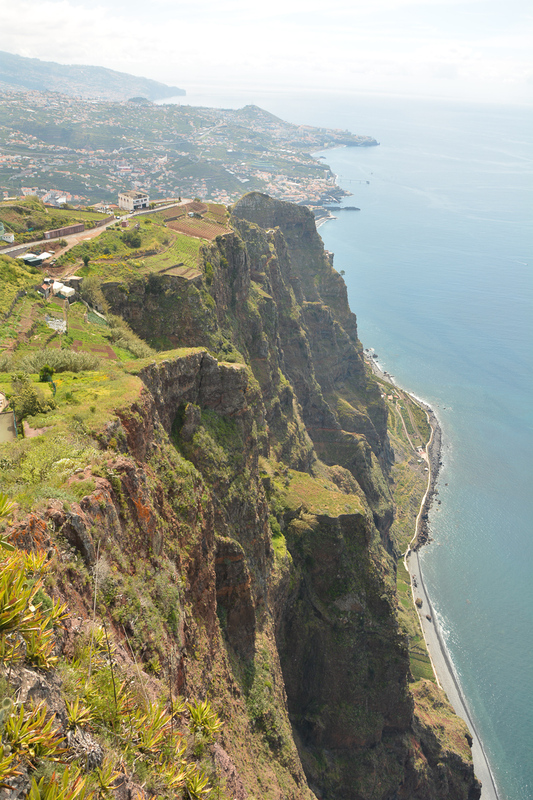 Madeira is dominated by mountainous terrain, therefore a large part of its main runway is supported by 180 powerful columns, each roughly 70 meters high. We are landing on that curious structure surrounded by mountains and the ocean. There are at least three ideal ways to get to know the island on your own. Participation in MIUT and cycling are the two and …. rental car is the third one. The last option turns out to be the most convenient for everyone. Having packed our staff inside the car we head west and reach town of Prazeres, where we have booked an Airbnb apartment. Passing through the island, I am impressed by the green landscape and endless uphill or downhill parts of the road. Flat stretches occur only at sea level and in some tunnels. A typical village is characterized by white houses with red tiles dominating the roofline, which contrasts well with the ubiquitous greenery. 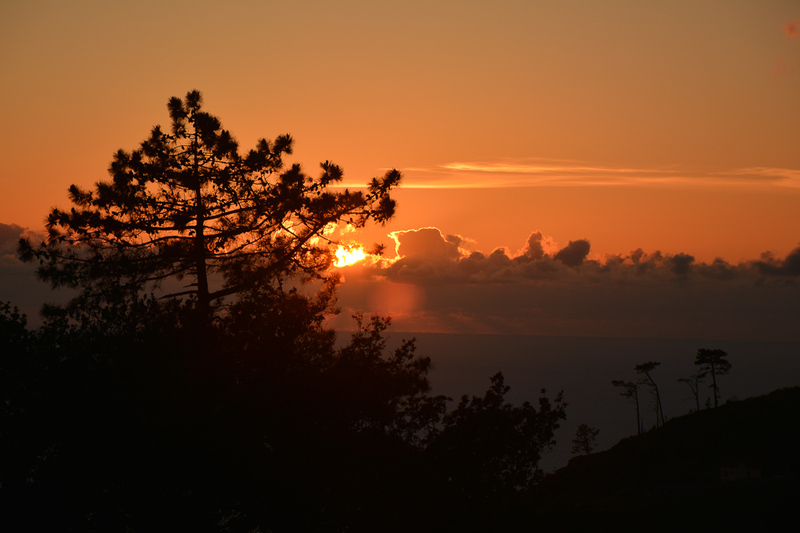 Portuguese explorers called the newly discovered land as Ilha Madeira, or “Wood Island.” This is what distinguishes Madeira against other islands in the East Atlantic region dominated by desert landscape. Levada is a Madeira-specific irrigation channel, whose history dates back to the very beginnings of the colonial era on the island. With the help of a well-prepared network of more than 2100km of canals and streams it became possible to deliver water from the rainy north-western part of the island to much drier southeast. In the past it facilitated the possibility to grow sugar cane on the whole island and also provided water for domestic use, including housewives for washing clothes. 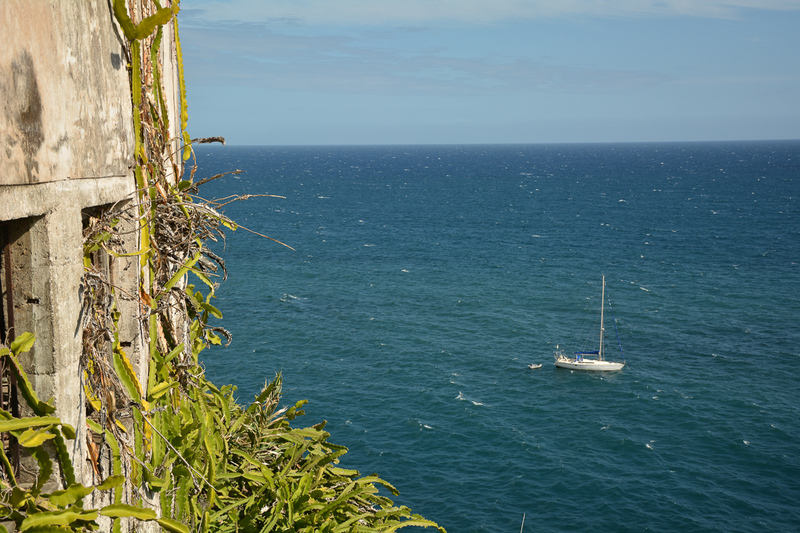 Today, levadas offer perfect network of hiking trails that take us to the most interesting parts of the island. We will find both short and easy ones as well as long, demanding and technical routes. Our base in Prazeres is located on the south west of the island at the top of a 500 meter high cliff overhanging the ocean. I set off for an evening run along PR20, one of the levadas that goes from Prazeres towards Jardim to Mar. It’s a nice way to explore the area. On one side it is only 3km (6km round trip) but including 500 meters of vertical gain, you can already call it a sport exercise. PR20 takes you through quite diversified terrain on different sort of paths and from now on it will become my daily extra exercise after a busy day of sightseeing and hiking mountain trails. 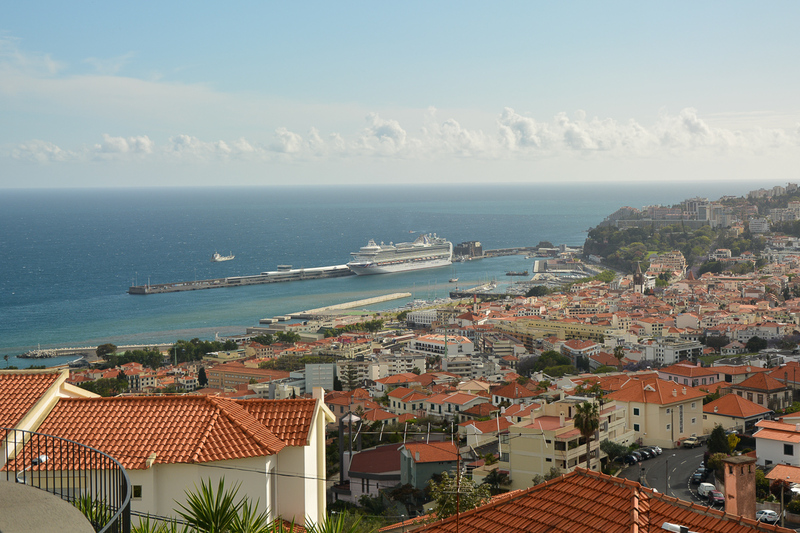 I would not call Funchal (capital of Madeira) the travel destination of the island, but since we are already there, theoretically it is worth to spend here one afternoon. Just like the rest of the island, the city is also located in a mountainous area. Right in the city center there is a large marina with sailing yachts and the harbour where massive Azura cruise ship is moored. We will reach several urban parks and reach the bay view point walking along the coastline. Nearby is the legendary Reid’s Palace. It is a historic hotel fabulously located on the cliff. It has a long tradition of being visited by most influential precursors of colour photography. The guests had the possibility to use the hotel’s darkroom since the early 20th century. 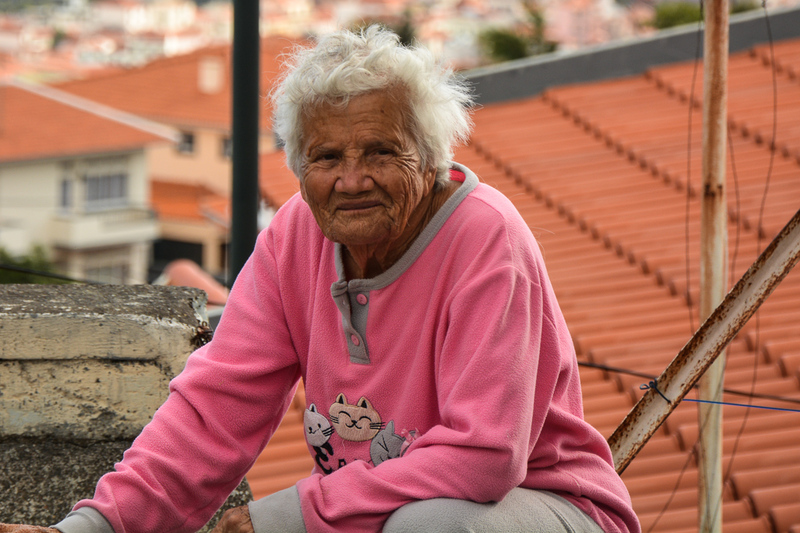 Crossing the steep and narrow alleys, you can easily find local restaurants serving great fish dishes, seafood and Madeiran beef. 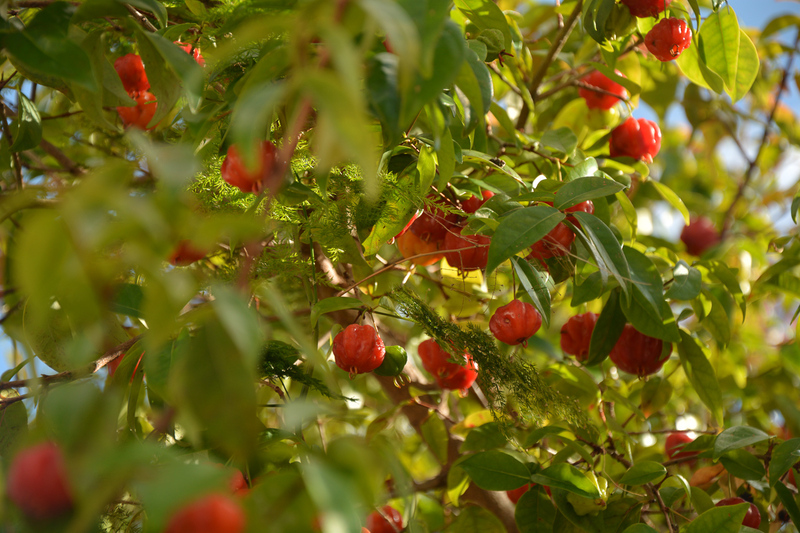 Everything tastes great outside in the fresh air, especially with the gentle breeze, peaceful ocean sounds and greenery neatly complemented by Portuguese colonial architecture. That’s for now about the cities. 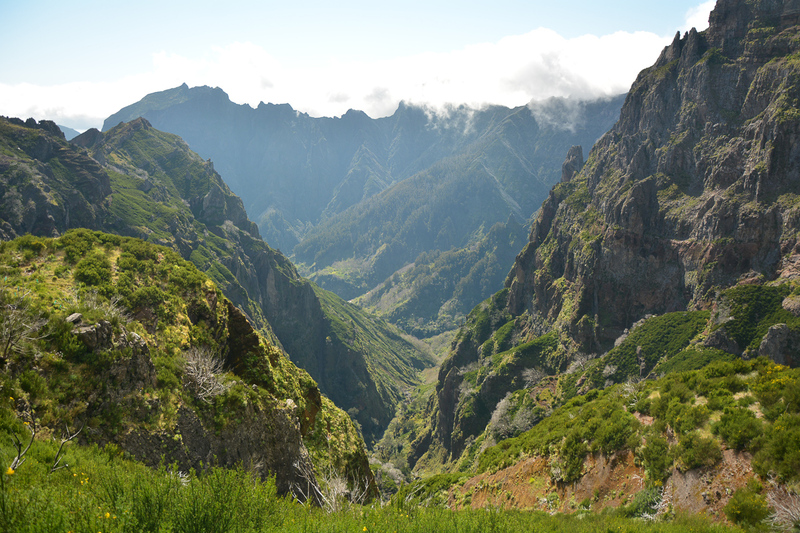 Next day we set off for Levada Das 25 Fontes, one of the flagship routes. 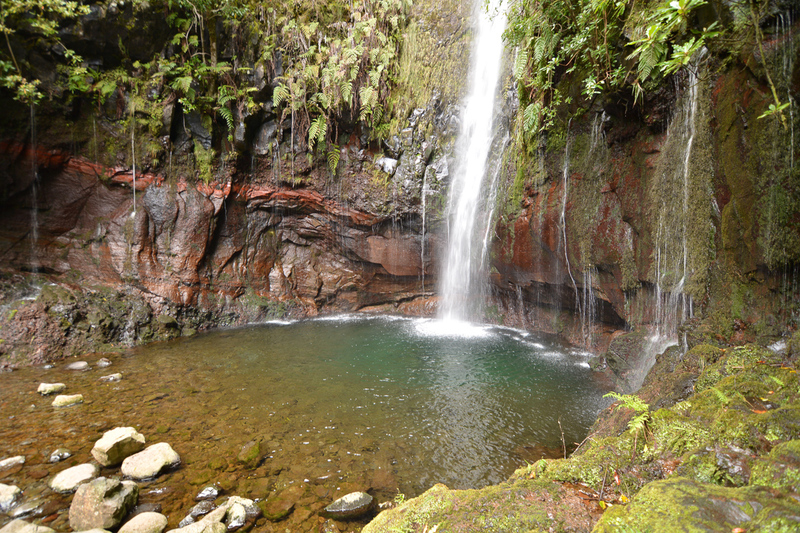 We hike one of the levada trails marked PR6 (and PR 6.1 which is an extension to Levada to Risco). At the end of the trail we reach a large yet impressive waterfall. 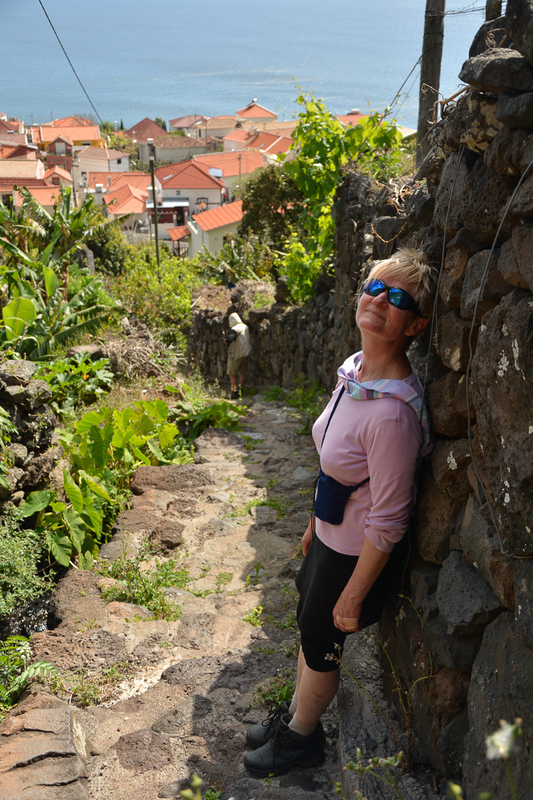 Next day we set off for Levada Das 25 Fontes, one of the flagship routes. We hike one of the levada trails marked PR6 (and PR 6.1 which is an extension to Levada to Risco). At the end of the trail we reach a large yet impressive waterfall. 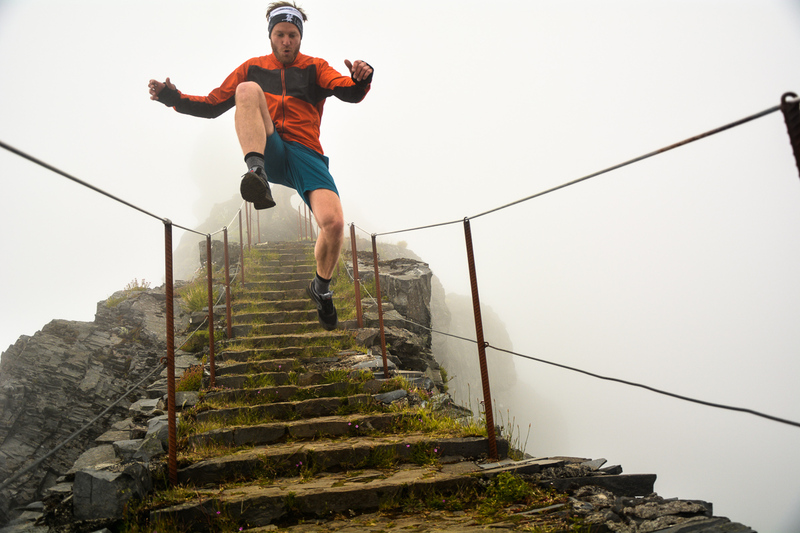 A valuable advice – to avoid the crowds you should try to get up and be on the trail as early as possible. Alternatively choose other trail. 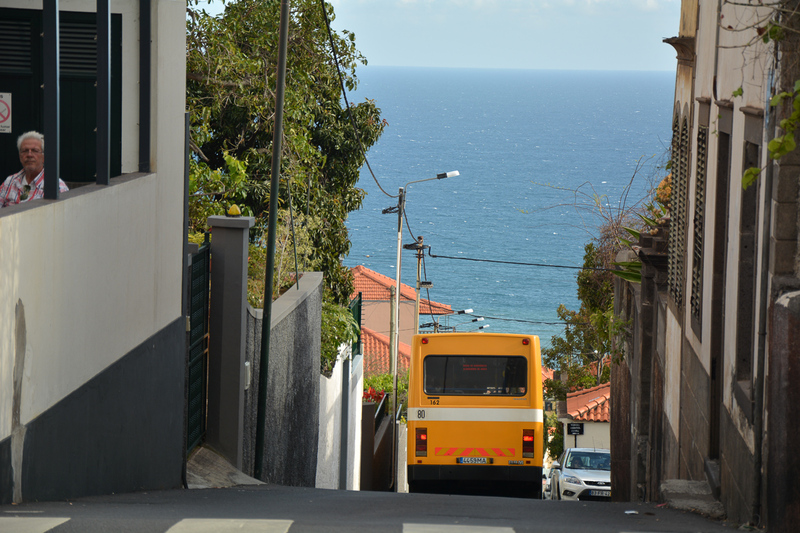 It turns out that the route Levada Das 25 Fontes is most crowded. My theory is that probably everyone uses the same guidebook or it’s described as “go on that one trail and spend the rest of the time laying in the sun”. There is some logic behind it and it would explain the hordes of Germans we found on this route. 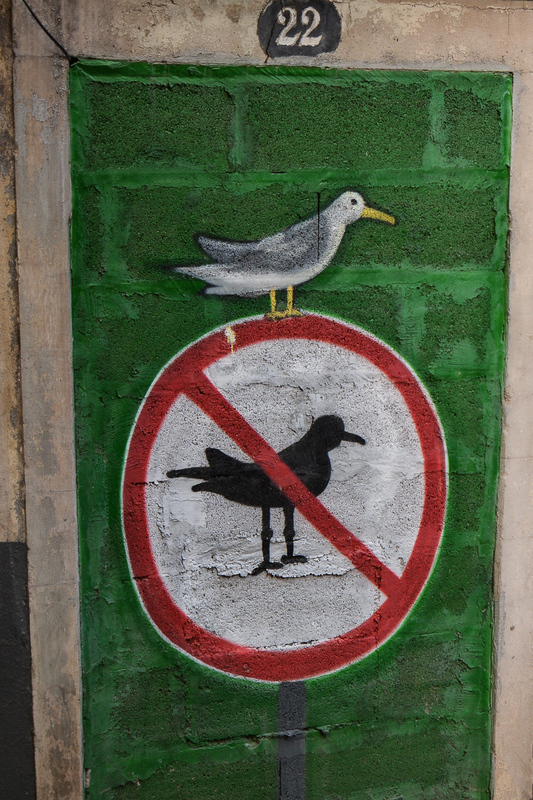 Fortunately, all alternative levadas are far less popular. 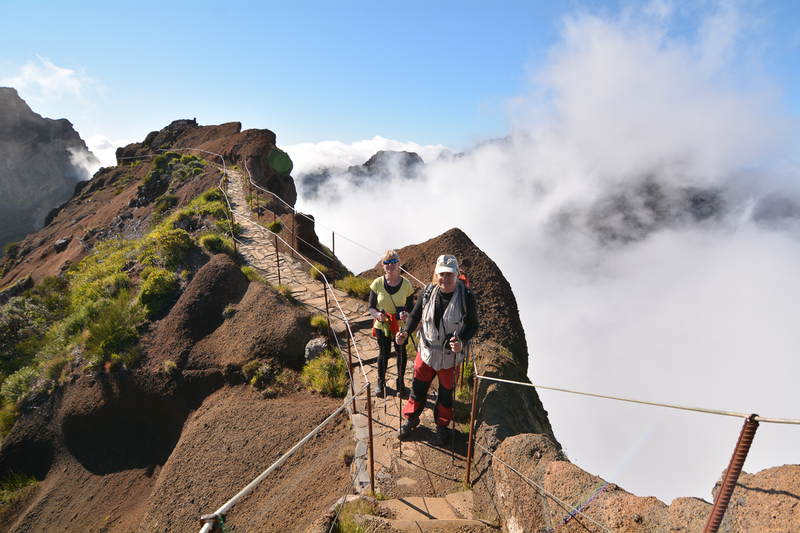 Over the next few days we plan to travel to various parts of the island to pick one levada as the main goal for the day combined with some extra side-attractions in that part of the island. 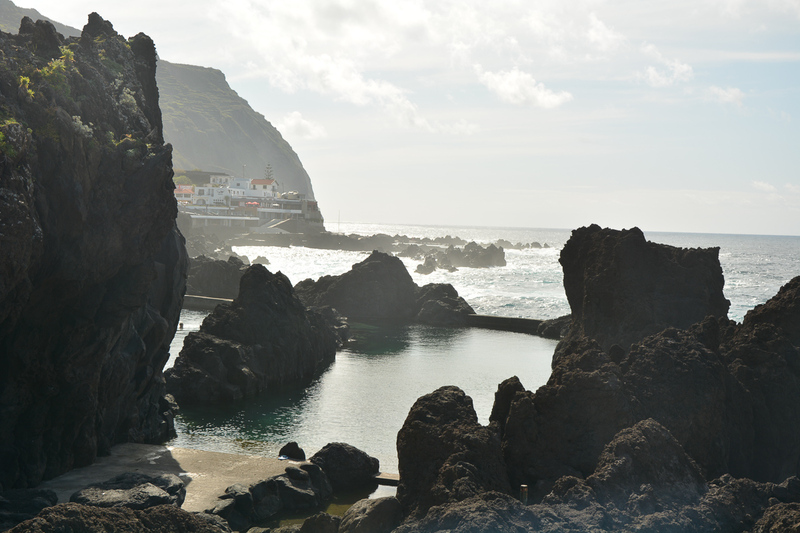 In the northwest, for example, you should visit the natural pools of Porto Moniz and see the starting point of MIUT. 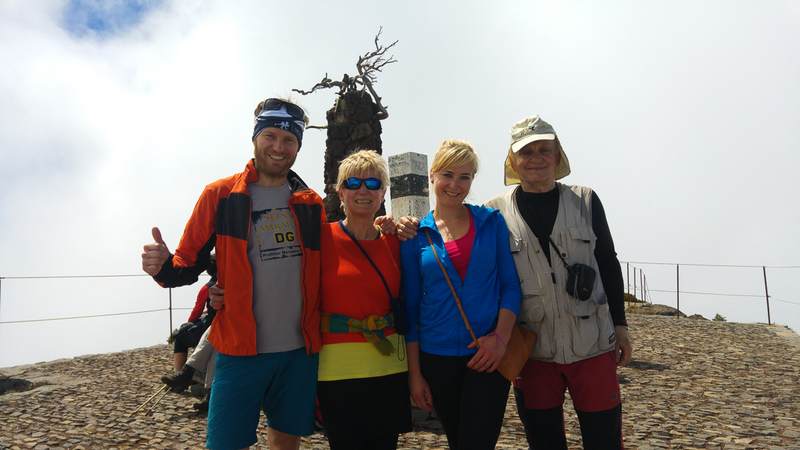 The more ambitious track we took the other day is the traverse of two peaks of Pico Areeiro 1818m and Pico Ruivo 1862m. On the route we will see how the terrain cuts the island into two separate climatic zones. Interesting formations of fog and clouds try to make it from the damp north side to the sunny south but they quickly evaporate and disappear. 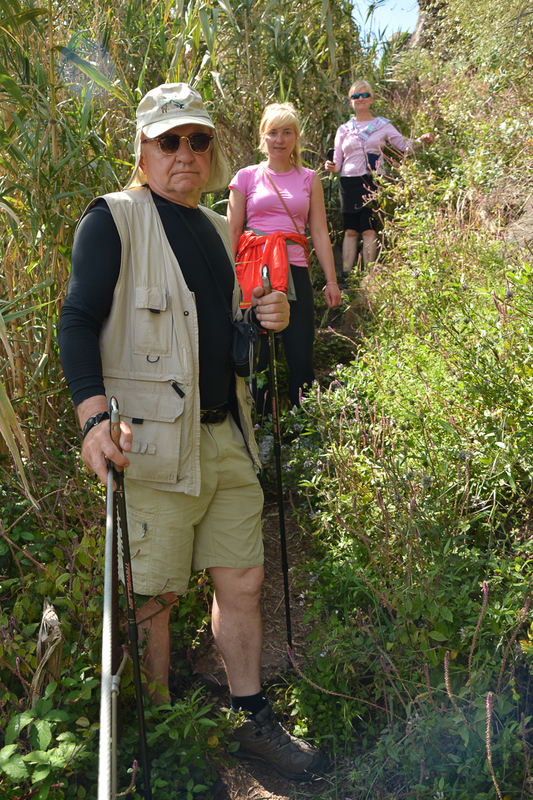 The hike’s distance is about 13km and over 1000 meters of cumulative gain (round trip). PR1 is also one of the MIUT stages. 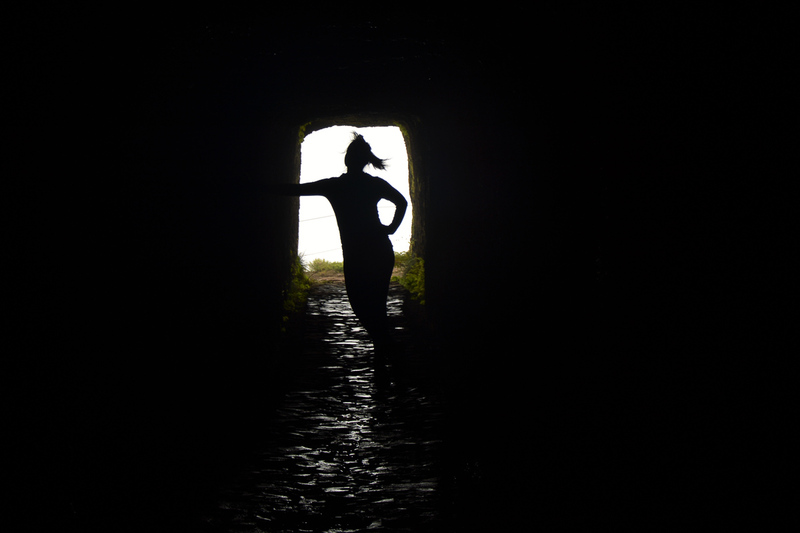 The route leads through a varied terrain – from untouched rocks through man-made paths in a high exposure locations to colonial-era stairs or even tunnels. 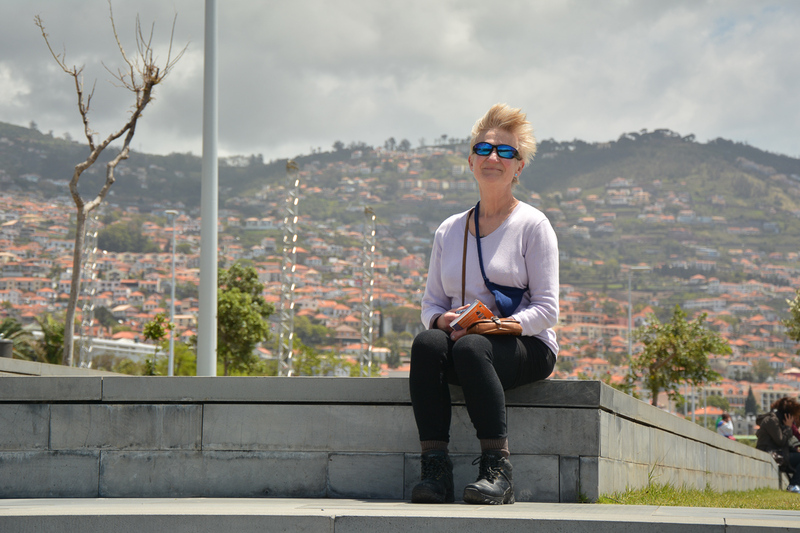 Upon Coming back by car, we are still in good time to stop at Cabo Girao to enjoy the view off cliff towards Funchal bay. 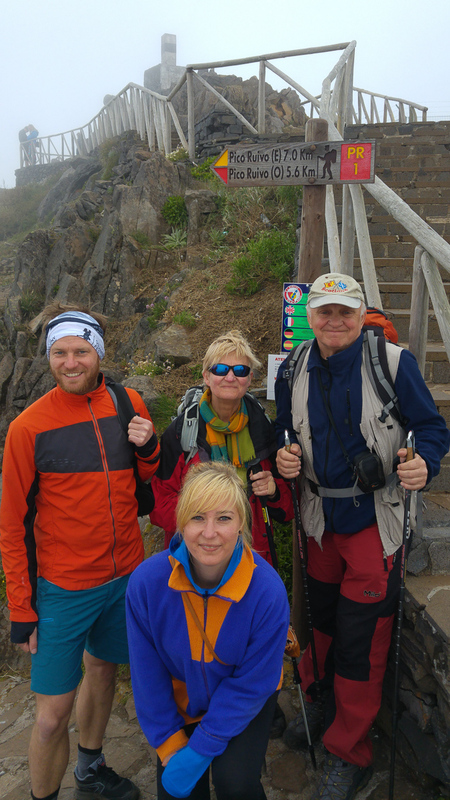 The next day we set off for levada PR13, from Vereda to Fanal. This one is a bit easier than previous one, so make slightly extended version (you can leave some people at Paul do Serra, go to Fanal, leave the car there and run) – about 16km total with 600m vertical gain. Since we are on the island the ocean also deserves some attention. 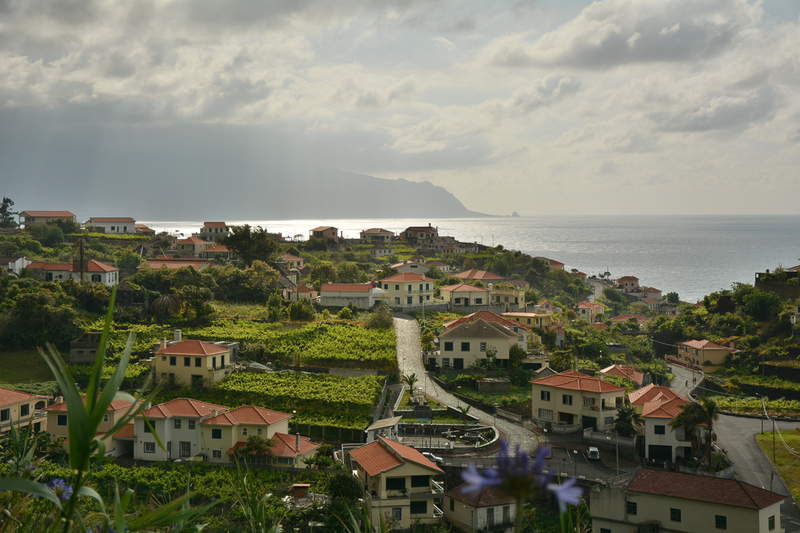 We are going to the coastal town of Calheta. The beach and easy ocean access make it perfect opportunity to test wetsuit that I’m planning to use for full-distance triathlon in the end of summer. In fact, it’s a surfing wetsuit, but to my surprise it is very comfortable and suitable for swimming. It is a nice swimming training of about 1800 m in the open ocean. A completely different experience than swimming in a lake or indoor pool. We also do some shopping, including tuna and several other fish. We also buy fresh shrimp, which I mistakenly freeze later on. 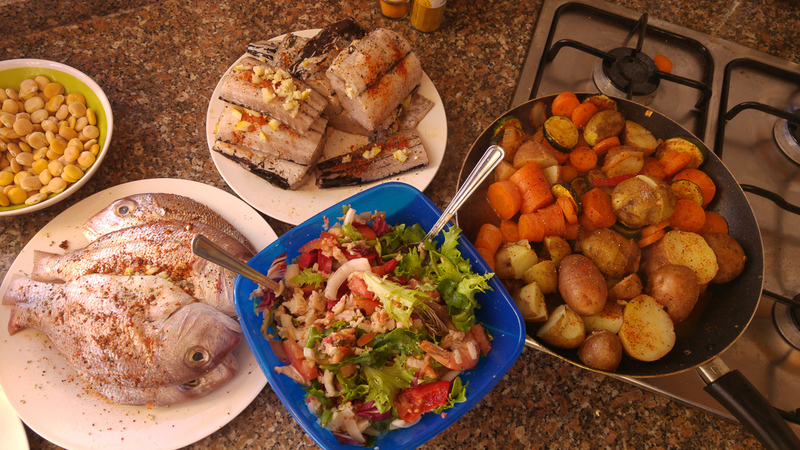 Most importantly, the grilling worked out well and together we managed to develop a few new improvised dishes. Especially seafood salsa and grilled tuna steaks. 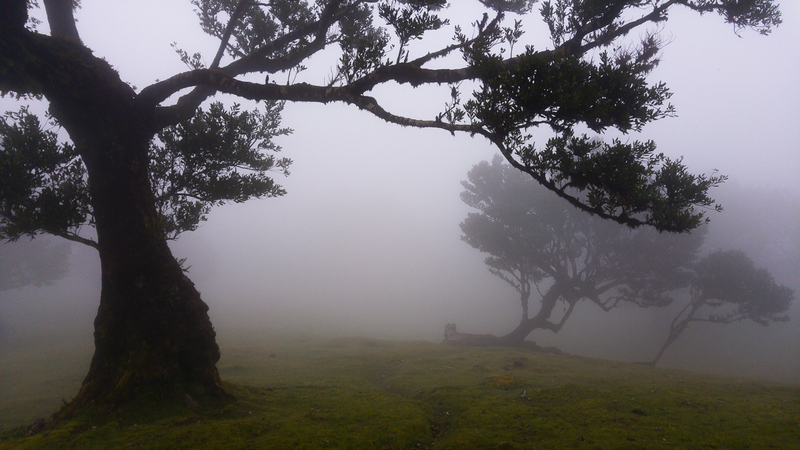 I mentioned that Madeira is a green island. Is it for sure? Not exactly. 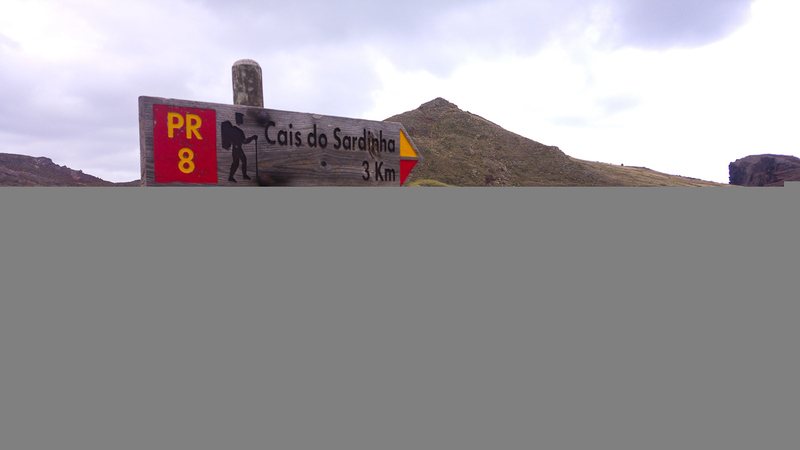 We embark on the eastern end of the island to get Cais to Sardinha. The trail PR 8 – Ponta de São Lourenço (Baía d’Ábra – Casa do Sardinha) will take us there. It is somewhat easier than the other trails. What makes it special is that it goes through an unprecedented desert landscape. The trail makes a total of 4 km one-way (8 km return) that is easily done in about 2.5 hours. Vertical gain about 500 m. Desert landscape is enhanced by powerful waves splashing against the cliffs. It is easy to see the eroding force of nature. Among emptiness, there are also some rare plant species found on barren ground. So much variety on one island. The route PR21, from Encumeada to Ribeira Grande is also called Caminho do Norte. 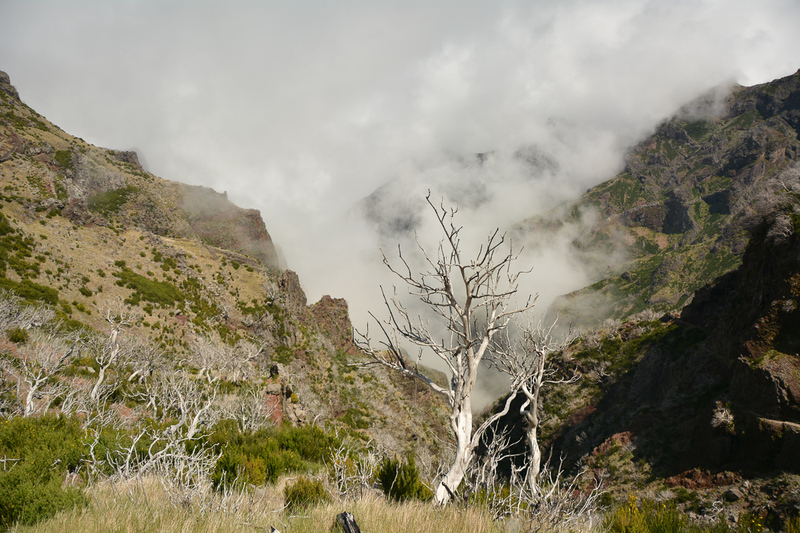 The location of the starting point at the top may seem to be unusual, although looking from the perspective of water flowing down the levada, it becomes quite natural. 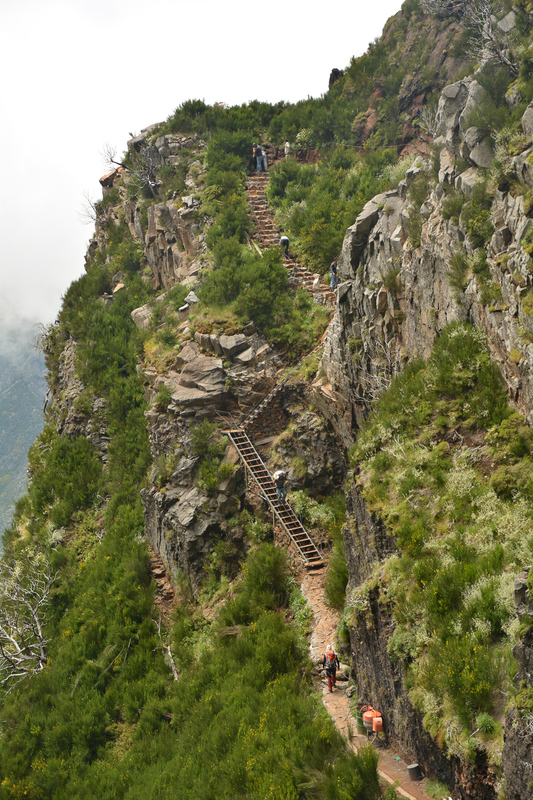 We descend nearly 700 meters down – most of the trails are along well-maintained wooden stairs to make moving on slippery surfaces easier. All the way down you feel the deep smell of the rainforest. At the bottom, after thinking the situation through we conclude that I will be the volunteer to run uphill back to the car and bring it down to Rosario where we shall meet. Thanks to that solution my parents and Luiza have saved some of their energy levels so we can still go all together down to the PR20, my favourite cliff trail. This also take the camera. Does anyone here look like a colonizer? 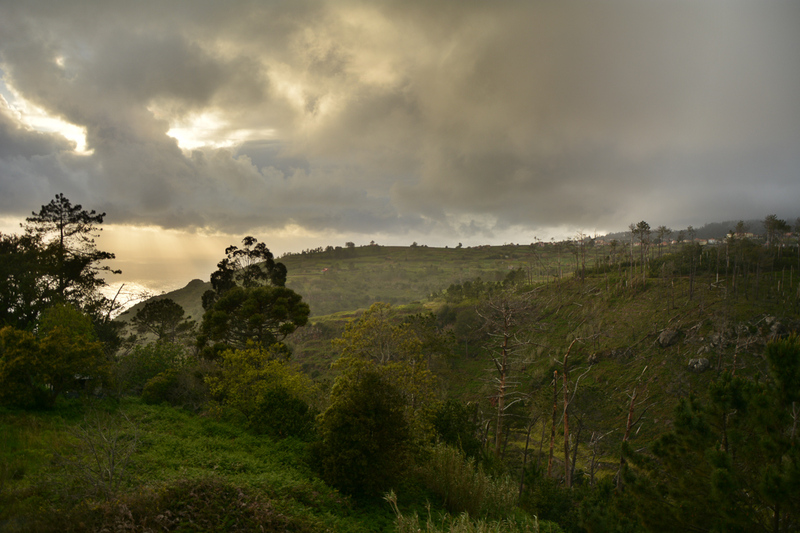 Madeira is undoubtedly an interesting island, a paradise for nature lovers. It is all awaiting adventure seekers in its neatly packed colourful and lively Portuguese style. It’s one of those places where you just want to come back. 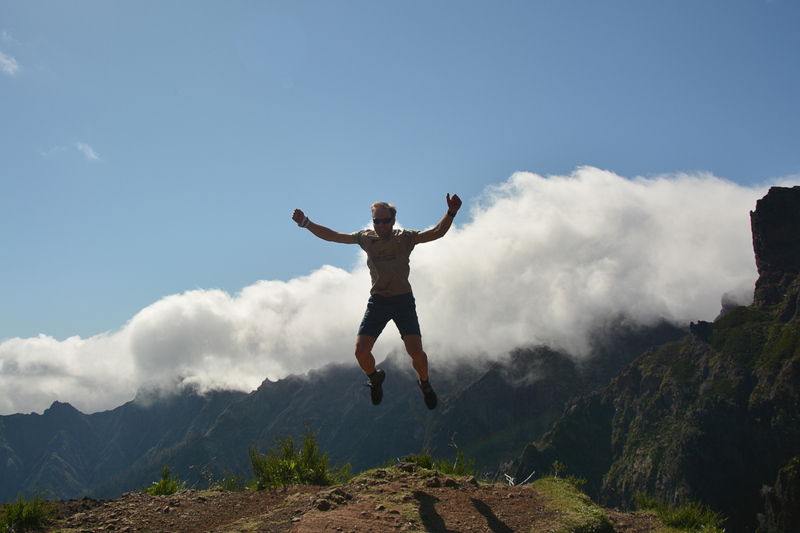 Hopefully for the Madeira Island Ultra Trail! Finally, I also attach some extra information for geeks.